For Children….ZenQuest offers a variety of enjoyable martial arts classes for children of all ages. Each provides an exciting exercise program with fitness benefits like improved flexibility, strength, coordination, and cardio capacity. Students gain an appreciation for overall fitness which can lay the groundwork for a long and healthy life! Classes provide a balance of traditional learning and more contemporary activities to keep training interesting and fun! Currently ZenQuest offers: Youth Karate (ages 3 - 14), Youth Jiu-Jitsu (ages 5 1/2 - 14), HSD for Kids (ages 8 - 12) and Kobudo (ages 9 and up). Please visit each program's page for more information. All classes are designed to provide age-appropriate learning in a structured environment of mutual support and respect. 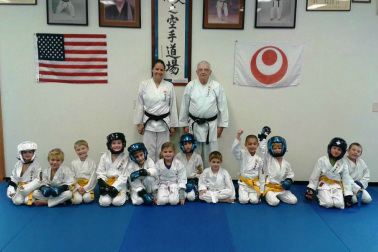 Classes are “scaled” so that the most mature kids focus more on martial arts skills, while the youngest students are provided with more activities and games. Student are placed in age divisions based on age, size, maturity, and sibling participation. Experienced instructors use proven methods to help young students learn important life skills like focus, discipline, respect, responsibility, confidence, perseverance, honor, leadership, and maintaining a positive attitude. 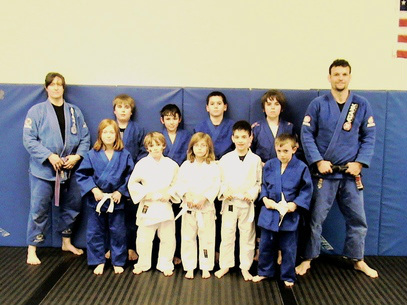 Come see why ZenQuest is considered the best Martial arts school for children in the Berkshires! 10 REASONS WHY MARTIAL ARTS BENEFIT KIDS! pastime not only discourages the sedentary lifestyle she’s used to, but also givesher an enjoyable activity that inspires her to keep moving.